This is the El Salvador Santa Rosa Honey brought to you by Onyx Coffee Lab. 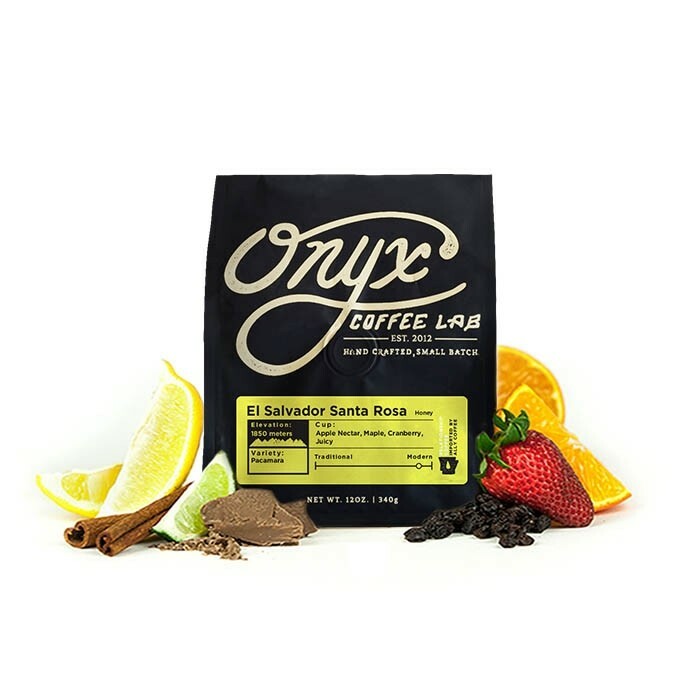 This yellow honey processed coffee was sourced from the growing region of Chalatenango in El Salvador and was produced by Jorge Raul Rivera on his farm Santa Rosa at 1,850 meters. The honey process combined with the Pacamara variety produces a truly unique and dynamic cup with juicy notes of cranberry and apple nectar with a maple like sweetness.